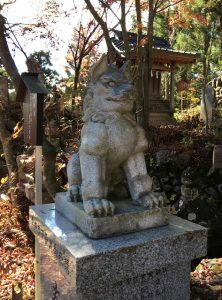 I’ve been climbing my way through the autumn, and simultaneously working on the next Hiro Hattori mystery (tentatively titled Ghost of the Bamboo Grove), and it occurred to me that I’ve been a bit remiss in my blogging updates. Whoops . . . The summit count currently stands at 43 – a respectable almost-halfway total, though the coming snow will present some challenges moving forward. 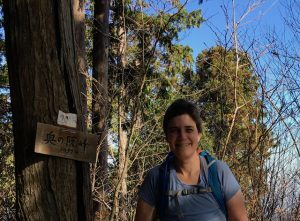 Yesterday I hiked a three-peak traverse in Chichibu Tama Kai National Park, near Tokyo, with my friend (and fellow author) Corinne O’Flynn. We successfully reached the summits of sacred Mt. 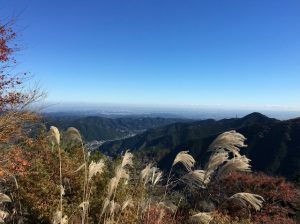 Mitake, Mt. Okunoin, and Mt. Nabewari. 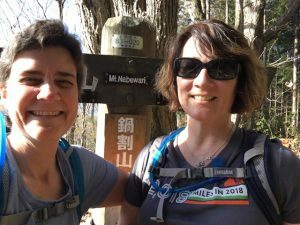 Tomorrow we head for Hakone, where I’d originally scheduled an ascent of Mt. 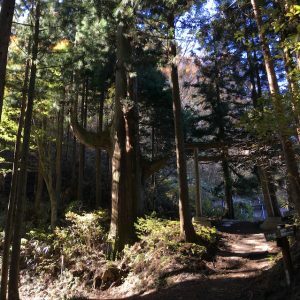 Byobu, near Lake Ashi (Ashinoko). Unfortunately, the tendonitis in my ankle has flared up instead of healing, so I’ll have to return for Byobu another time. 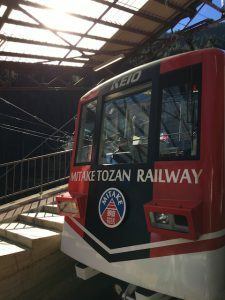 From Hakone, we travel south to Kyoto, en route to Nara, where we plan to climb a sacred mountain near Nara Park before continuing south to Koyasan to climb the Koya Sanzan (Three Mountains of Koyasan), a trio of sacred peaks that watch over Kobo Daishi’s eternal meditation in the sacred valley. I look forward to sharing more about those hikes – and reporting the successful healing of my Angry Ankle – in the days to come!